Former Chief Minister of Chhattisgarh and supremo Ajit Jogi of the Janata Congress, Chhattisgarh, has bridged the speculation of combating Bahujan Samaj Party to contest elections. Former Chief Minister Ajit Jogi, in a special conversation with News 18, said that his family meeting with BSP supremo Mayawati has only happened. It should not be politically understood. 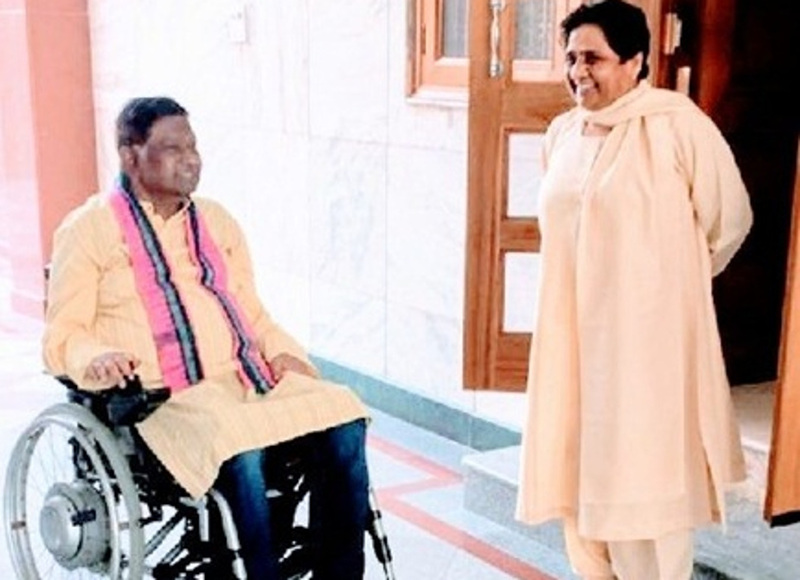 The alliance was being speculated after a nearly hour-long meeting between Ajit Jogi and Mayawati on Wednesday in Delhi. Ajit Jogi said that our party will contest the 90 seats in Chhattisgarh. There is no scope for coalition and neither is it discussed with BSP supremo Mayawati. However, Ajit Jogi did not initially sign the future of coalition in an interview given to News 18. Jogi had said that the decision will depend on the circumstances. Just a day after Jogi and Maya met in Delhi. Significantly, in the end of this year, Chhattisgarh assembly elections are going to be held. Ajit Jogi's party has emerged in Chhattisgarh as the third front. However, Ajit Jogi puts his speeches in the first place in the electoral fray. Let us say that after the meeting of Jogi and Maya in Delhi, the round of discussions in the political corridors had begun.